Buying a property for the first time can be a daunting endeavor. Read this post by Pacific American Title in Dededo to be sure you won't commit the common mistakes first-timers make. Trust in Pacific American Title for all of your title services needs. Call 671-648-7777 for more information. One of the first tips you'll hear when you talk about purchasing an estate, is that you need to create a budget for it. And it's true: having a financial plan is a smart decision that can save you a lot of trouble down the road. However, if you're inexperienced in the real estate business, you may not know that in that budget you should include the costs of the moving process, the home inspection, the professionals' fees, among many others. Be sure to account for them, so they don't catch you by surprise. We all dream of having the perfect house. If this is your first time at the rodeo, however, you may be a little bit too attached to that idea. Yes, buying a house is a huge investment, but if you are too picky, you may have difficulty during the house hunting process. That's why you should create two lists: one with the things you WANT in a property, and a second one with the things you NEED in it. Make sure the 'need' list is met first. Other than that, you should understand that houses can change and grow with you, so don't despair. Another mistake first-time home buyers make is being too easy (contrary to the point made above). If you're an inexperienced buyer, you may fall in love with the first property that you lay your eyes on. Still, you should know that there are a lot of properties that you should consider, as some may represent a better deal for you. Even if you return to the first option you saw, it's wise to look around before committing to one. 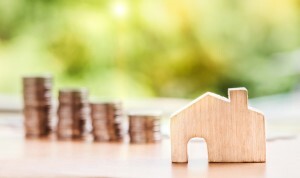 Probably one of the worst mistakes you can make as a home buyer (whether it's the first time you buy an estate or not), is going over the budget you established for the purchase. In the moment, you may feel a little bit too excited about having found the perfect property, and you may think it's worth ditching your budget for it. Still, that excitement will soon wear off and you'll start experiencing buyer's remorse when you notice that you can't make the payments. Call Pacific American Title at 671-648-7777 to purchase title insurance in Dededo. The home inspection is probably one of the most crucial steps in a home buying process. This is because it is through it that you'll learn if a property is even worth investing in. Still, some first-time buyers think that they can just forgo a home inspection (be it because the property is new or recently remodeled, or because the seller already provided a home inspection report). If you want to make a smart investment, you should always have an home inspection done with your own team. The enthusiasm of owning a property for the first time (or simply getting the home buying process over with) can lead you to make a troubling mistake: signing the deal without reading it thoroughly. Not only should you read it, however, but it's recommended that you have a professional real estate lawyer look into the contract before you do. This way, you'll be able to seal the deal in a safe and successful manner. The real estate business can be very tricky. This is more so the case when you consider that you're dealing with a lot of money. This is why, if you have little-to-no knowledge of how to navigate the negotiations that take place, you may end up losing. To make sure that you come out victorious of your real estate deals, you should hire a real estate agent and real estate lawyer that can guide you through them all. Last but not least, a big mistake that you can make is losing control of the situation. As mentioned above, it is highly suggested that you get professionals to help you out if this is your first time buying. However, while you should absolutely should listen to their advice, know that only you can decide what's best for you.